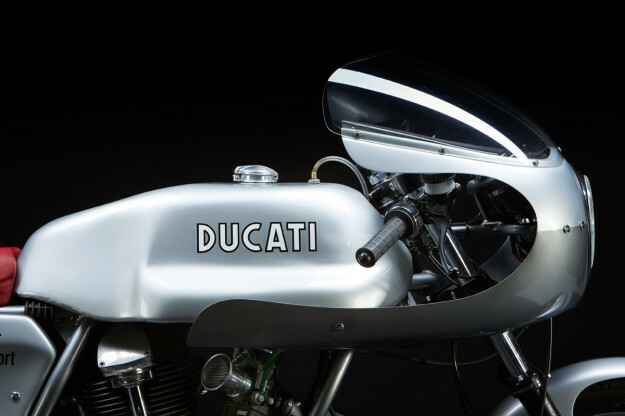 In the sleepy English country town of Stowmarket you’ll find one of the world’s top Ducati specialists: Made In Italy Motorcycles. 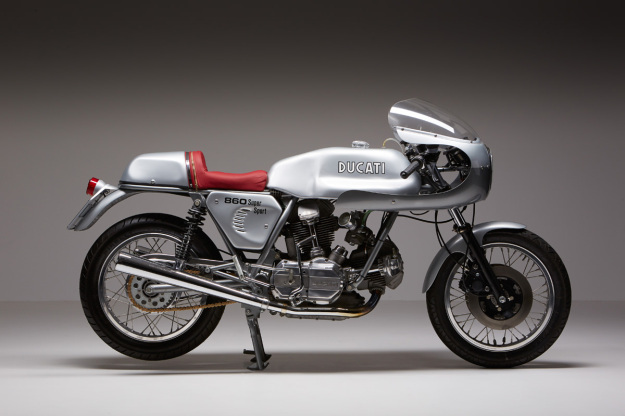 For thirty years John Fallon has been buying, selling and restoring Ducatis—and we’ve finally snared a set of images that show the incredible quality of his work. 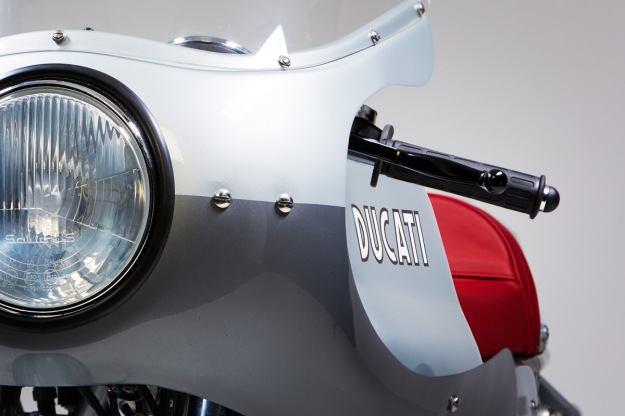 It’s a heavily customised 860 GT, inspired by Ducati’s beautiful 1970s Super Sport machines. The man responsible for the metallurgy is Fallon’s workshop guru Neil Ridgewell, who’s also a qualified Ferrari, Bentley and Maserati technician. 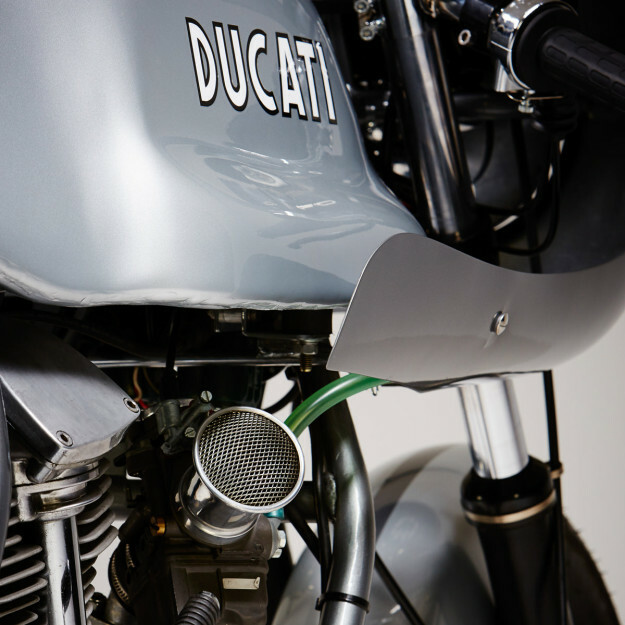 Most Ducatisti will be scratching their heads looking at this bike, so it’s worth digging into the backstory a little. It starts with Giorgetto Giugiaro, the world’s most lauded car designer in the 1970s. Giugiaro drew sensuous curves for Alfa Romeo, De Tomaso and Maserati, and posters of his cars adorned millions of teenage bedroom walls. So you can’t blame Ducati for asking Giugiaro to design the 860 GT. But Giugiaro suddenly changed tack, and ditched the curves for what became known as the ‘folded paper’ look. It worked for the Lotus Esprit and the VW Golf, but left the angular 860 GT looking awkward and out of place in the Bologna factory’s line-up. The 860 GT is not a bad bike, though—apart from a slight tendency to weave at high speed. And this one has the looks to match its capabilities. Tom decided to give the bike an extreme makeover. 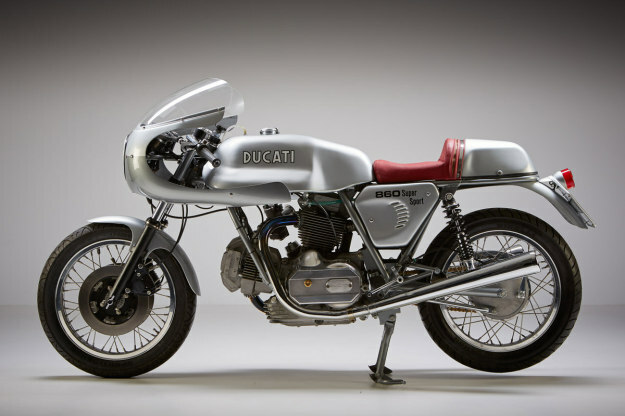 So he briefed Made In Italy Motorcycles to restyle his GT with a classic Ducati vibe. It’s effectively a monochrome version of a green frame bike, but obviously a custom build. 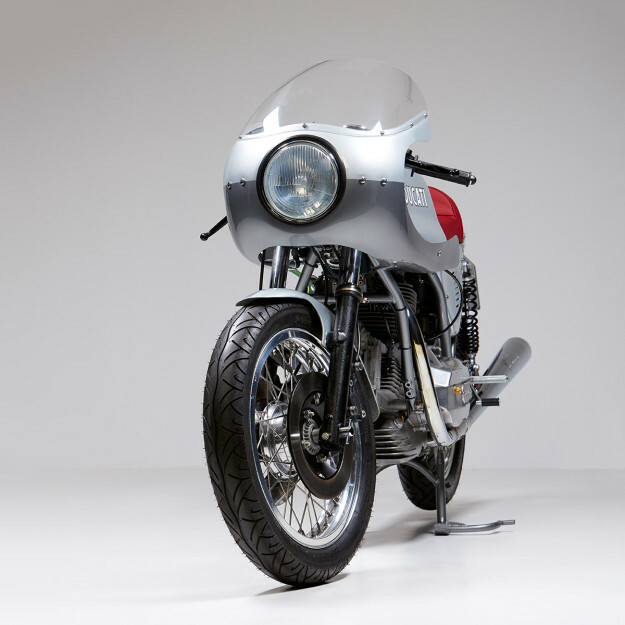 Head over to the Made In Italy Motorcycles website to see more fine Italian machinery, including Moto Guzzis, MV Agustas and Laverdas. For a different take on the 860, check out our feature on Hermann Köpf’s 860 GTS.